The prospect of national and global water shortages is no longer a narrative from a sci-fi movie like Blade Runner, writes Jonathan Kent, National Environment Manager, SMEC. Last year, South Africa faced the prospect of one of its largest cities, Cape Town, running out of water. Australia is in the grip of one of the most crippling droughts in recent history. As Australia’s population hits 25 million, there is a need for increased and improved infrastructure to meet the demand. Australia is a country that is prone to weather extremes. Yet the mitigation of the severe environmental and societal impacts of droughts has been predominantly reactionary. Since engineers share personality traits like pragmatism, problem solving and creativity, we’re in a good position to help formulate solutions. Engineers by nature are strategic, big-picture thinkers, and preparing for droughts is certainly a big problem worth thinking about. But it can take years to get a major project off the ground. We must start the process and rely on current innovations to help alleviate pressure where possible. Australia is already adopting dams and increasing engineered water storage. Other more high-tech and expensive technologies such as desalination have been installed to provide increased water security to major urban areas. However, providing water security to the most dire and in-need areas is the most challenging issue to overcome. Initiatives are underway. For example, SMEC is currently assisting WaterNSW with the implementation of the Wentworth to Broken Hill Water Supply Project, which will provide greater water security to regional New South Wales. 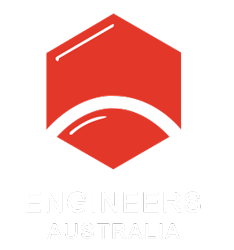 Some major engineered options to provide large scale water to Australia’s drier areas include bulk water supply via a combination of pipelines, dredged channels, dams, tunnels and water treatment plants. And while desalination is one solution, it is expensive, requires a lot of energy and is largely limited to the coastal areas. Smaller scale water treatment plants and water recycling will therefore be important to support water security. For change to occur, there must be a combination of strong policy and regulation, supporting effective water resource management with large- and small-scale water resource and infrastructure projects. Hard decisions will have to be made, because in some instances the economics of engineered solutions are simply not feasible or have too great an impact on natural processes and communities, such as major inter-water basin transfer projects. In the end, the solutions will come from a combination of hard (engineered) and soft (policy and regulation-directed) solutions, spanning more efficient use of water, land re-use for more drought tolerant applications, large and smaller scale water storage and transfer, recycled water and increased water treatment and decreased wastage. Want to submit an opinion piece? Contact the create editorial team here. This article originally appeared as “A water-secure future” in the October 2018 issue of create magazine.